These common appliances can actually set your home on fire if you are not careful. 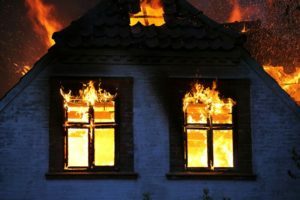 Fires are one of the most serious hazards that a homeowner can face. This is why it’s so scary that everyday household appliances can actually cause a fire if they are not monitored or properly maintained. Here are some of the appliances you should be particularly careful with. If you fail to maintain your microwave or use it improperly, this can lead to a fire. For instance, if you do not clean out your microwave after using it, the food remnants left behind can catch fire the next time you go to heat something up. Additionally, fires can break out when you attempt to microwave things like metal or plastic. If you fail to consistently clean out your dryer’s lint trap, tubing, and vents, the extreme heat of your dryer can set the accumulated lint on fire. The best way to reduce your fire risk is by making sure to clean out all the parts of your dryer routinely. Additionally, have it inspected by a professional periodically to make sure that everything is in good working order. Because dishwashers utilize water, most homeowners do not consider them a fire risk. However, what you need to understand is that dishwashers must heat the water used to extreme temperatures. If your dishwasher malfunctions, then these heating elements can easily spark a fire. To prevent this from happening, always monitor your dishwasher while it is in use, and watch for signs of a breakdown. If you suspect that your dishwasher is not working properly, call in a service professional or have it replaced immediately. These are some of the household appliances that can cause a house fire if you are not careful. Want to protect your home from fire and all the other risks that it faces? Make sure you have the proper homeowners insurance protections in place. For assistance with all your home’s coverage needs, contact the experts at VGW Walker Insurance in Texas today.